As a tow truck owner, you face many of the same concerns as owners of other commercial vehicles, as well as some unique risks. Insurance companies that understand these risks, can provide a well-rounded insurance package that includes several different coverage options. With these options, you can build a policy to meet your individual needs. When you are ready for some quotes, just fill out our simple form and we’ll bring you 3 agents to compete for your business. Commercial tow truck owners and operators are required by law to carry liability insurance. Because you are also responsible for the well-being of your drivers, customers, and the vehicles that you are towing, you’ll need several additional types of coverage on board. As part of our Commercial Tow Truck 101 Insurance Guide, we’ll review some of these coverages, so you’ll have a better understanding of what it takes to insure your operation. Click on the articles below to learn more about the different coverages. Tow Truck Auto Liability: This coverage protects you from being held liable for property damage and bodily injuries caused by your tow truck. Physical damage insurance: This is coverage helps when your truck is damaged, regardless of fault. This type of insurance is usually required by lenders if you have financed the purchase of your truck. Learn more about physical damage insurance. Garagekeepers Legal Liability Insurance: Towing businesses and service stations might need to carry this type of insurance to protect their customer’s vehicles while they’re being held or worked on. Learn more about garagekeepers legal liability insurance to see if it’s right for your operation. On-Hook Towing Insurance: This type of coverage will help pay for damages to vehicles you are towing. Learn more about on-hook insurance. Garage general liability insurance: Accidents happen everywhere; on site, off site, with employees, and with customers no matter how much you’ve planned. General liability covers injuries suffered at your shop/garage and damages that you cause to other people and their property. Most garage liability policies also include coverage for liabilities arising from the shop’s general business operations, such as discrimination lawsuits from employees. Medical payments insurance: Provides coverage for medical payments incurred if you, your driver, or any passengers that may be injured due to an accident while in your tow truck. This is particularly important as tow truck drivers often provide rides for the owners of the vehicles they are towing. Cargo: For an additional premium, business owners may choose to purchase cargo coverage. 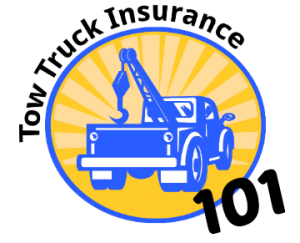 This insurance coverage pays for lost, stolen or damaged property and contents in the care, custody and control of the tow truck driver. Comprehensive coverage: Comprehensive coverage provides other than collision coverage, and includes damage caused by objects, natural disasters, fire, theft and vandalism. Liability umbrella. In the litigious society that we live in, liability claims can quickly turn into lawsuits, especially if someone is badly injured. If you feel that the available liability limits are not enough to protect from potentially devastating legal costs, you may want to consider purchasing an umbrella liability policy to increase your liability coverage to $1 million or more. Workers’ Compensation Insurance. Workers’ Compensation insurance is the law if you have employees. It helps cover the medical costs and a portion of lost wages for an employee who becomes ill or injured during work. Not all tow truck companies or operations are the same, and what may be necessary for one may not be necessary for the other. This remains true where tow truck insurance is concerned. Fortunately, there are several tow truck insurance coverages that allow you to customize your policy to fit your business needs. 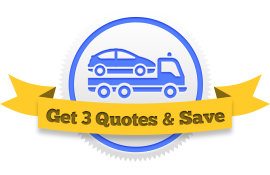 At Tow Truck Insurance HQ we can connect you with 3 agents to help you find that perfect combination of coverage and rates to protect your towing operation from costly claims. So whether you repossess cars for financial institutions, transport vehicles from accidents scenes, help stranded drivers with inoperable vehicles, own a single truck and driver operation, or something bigger, you’ll be covered no matter where the road takes you.